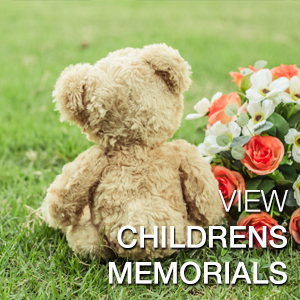 Please note that we are only able to fix memorials in Devon, Cornwall and Somerset. 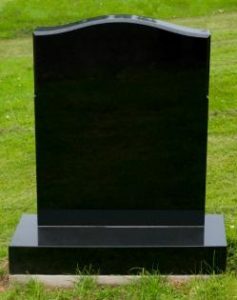 We are offering this Cremation Desk Style Memorial Tablet, (with or without a flower insert) for the special price of £495.00. 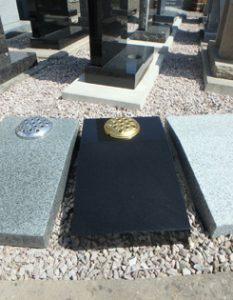 This price also includes 80 enamel painted incised letters (or 50 Gold leaf letters, but Gold leaf is not recommended) VAT & fitting. 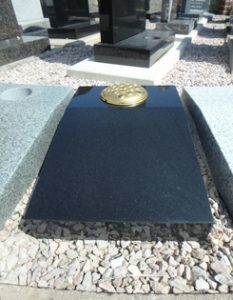 We are offering this black granite all polished Ogee shaped lawn memorial at a special price of £675.00 including V.A.T. 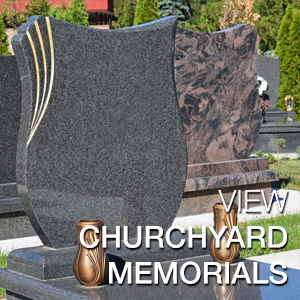 This price also includes 80 enamel painted incised letters or 50 Gold leaf incised letters, a vase hole with flower container and fixing. 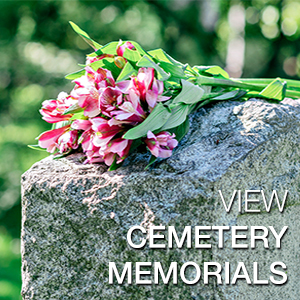 This memorial is suitable for most Cemeteries; the only extra cost will be the Cemetery fee which we will be able to advise when you contact us. 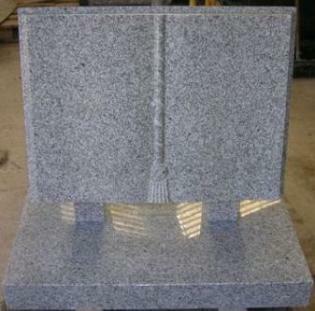 We are offering this grey granite all polished West Country grey granite memorial book set with curved pages and cord and tassel at a very special price of £825.00. 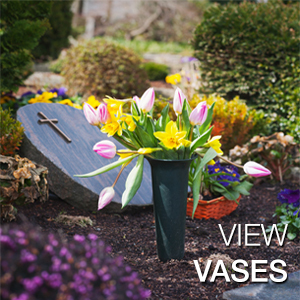 This price includes 80 enamel painted incised letters or 50 Gold leaf incised letters, a vase hole with flower container and fixing. 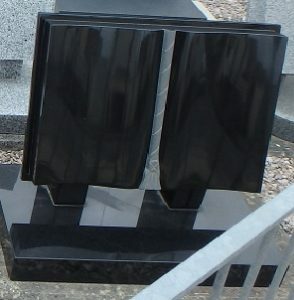 We are offering this black granite all polished memorial book set with cord and tassel at a very special price of £825.00. 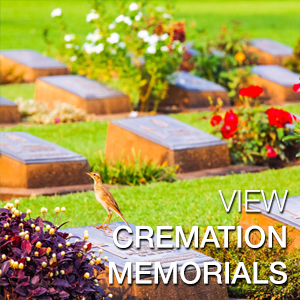 This price includes 80 enamel painted incised letters or 50 Gold leaf incised letters, a vase hole with flower container and fixing. 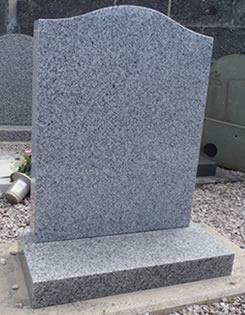 We are offering this mottled grey granite (all polished or honed) Ogee shaped lawn memorial at a special price of £675.00 including V.A.T. 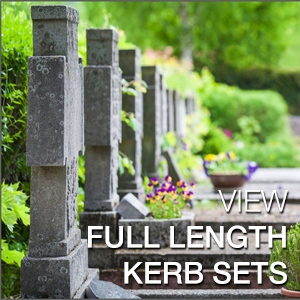 This price also includes 80 enamel painted incised letters or 50 Gold leaf incised letters, a vase hole with flower container and fixing. 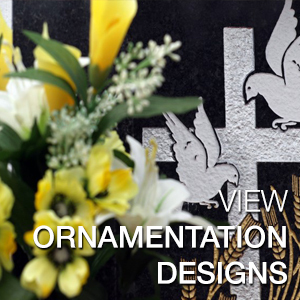 This memorial is suitable for most Cemeteries (polished) and Churchyards (honed); the only extra cost will be the Cemetery/Church fee which we will be able to advise when you contact us.